Bonjoir, blogworld! 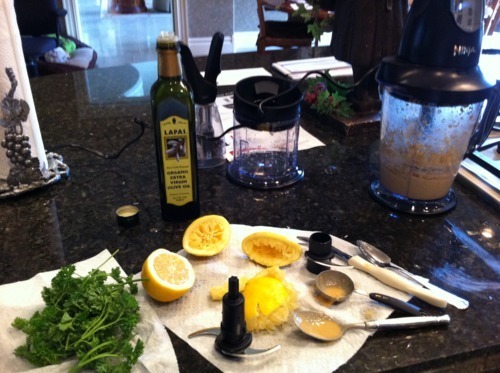 My premier post will detail my foray into creating fresh, DIY hummus (having tired of the store-bought derivatives). 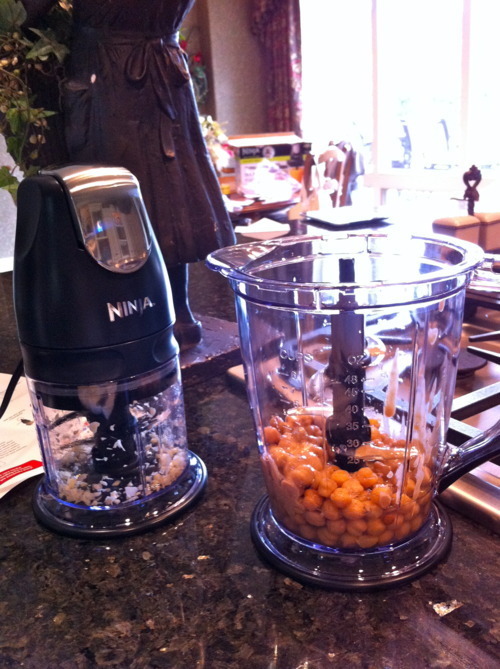 To begin, I chopped fresh garlic cloves and then in a separate blender pureed organic chickpeas, fresh lemon juice, and tahini. I then added in the chopped garlic. 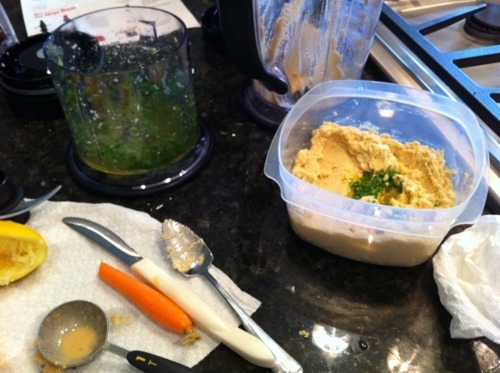 I then pureed EVOO with fresh parsley and drizzled it over the hummus. All in all, quite delicious! (AND amazingly simple). Next time I will use a little more garlic and seasoning, but not bad for my first go around. You can also sprinkle a little paprika or cumin on top, if you want to spice it up a little!